Running for office and working in politics can be draining, difficult work, so let’s recognize and lift up the women who are working on a better future for all of us. This February, carve out time to celebrate the successes of Black women in the political sphere. 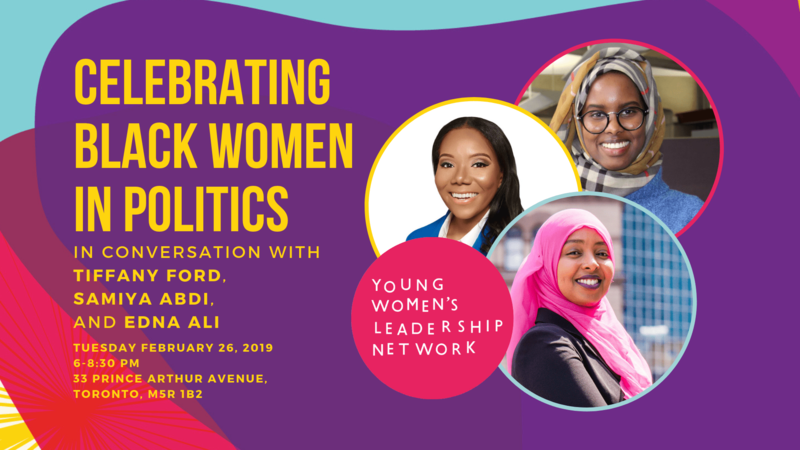 On Tuesday, February 26 from 6 to 8:30 p.m. at the Samara Centre for Democracy (33 Prince Arthur Ave), join Young Women’s Leadership Network for a discussion on the highs and lows of running for office, being a Black woman in Toronto politics, and dismantling the systems that make politics so difficult to penetrate. This conversation will feature Tiffany Ford (Ford Global Group), Edna Ali (Progress Toronto), Samiya Abdi (Public Health Toronto) and will be moderated by Rudayna Bahubeshi. 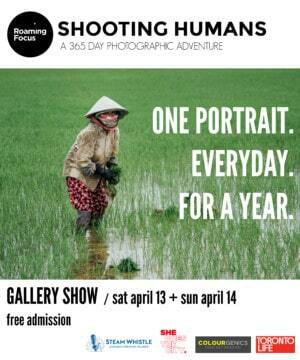 This event is free, but register here to ensure your spot.